Western Australia is known internationally for its great weather, long sunny summer, backyard pools and pristine beaches. Locally, residents know that while the best part of an Aussie summer, the sun can cause damage to you, your family, and your wallet. 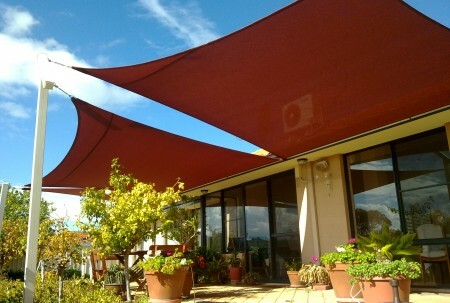 At Shade Experience, we understand the harshness of our sun, and have the best range of shade sails in Perth to protect your family. We love our pools and Sunday barbeques in the backyard, but all that time in the sun can cause painful sunburn today, or life threatening skin cancers tomorrow. Of the sun’s rays, UV rays are a small portion, but the main contributor to sunburn and skin cancers. Scientists agree, there is no such thing as fully safe UV rays. All UV rays can damage the DNA of your skin, causing effects from pre-mature aging, wrinkles, sun spots, sunburn or cancers. While we should all be wearing a hat and sunscreen, when we are getting into that gardening job or the kids are swimming in the pool, you are still exposed to the sun. A shade sail in the backyard is the most effective way to protect you and your family from dangerous, unsightly medical issues that come with UV exposure. The sun doesn’t just hurt your skin, but can cause expensive damage to your home and garden as well. Installing a shade cloth is crucial to protecting your valuable landscaping investments, keeping your pool and backyard looking great. Pool surfaces are designed to keep the water safe, look good, and stay clean. Unfortunately, the UV rays from Perth’s harsh sun can cause irreparable wear and tear to the surfaces of your pool. A sun shade sail will keep you out of the sun on a hot summers day, and help keep you pool in top condition year after year. Did you know that UV is known to reflect off of water, concrete or even grass? Having your backyard protected by a shade sail shelters you from unknown dangerous UV exposure. Getting stuck into the gardening is a part of the great Australian dream. But your English roses, Italian basil and South American tomato plants don’t like the harshness of our sun as much as we do. Don’t throw out wilted plants again, give your garden, and yourself, protection from the heat of summer with a shade sail. A garden shade sail will protect your body from the dreaded post-gardening sun burn. 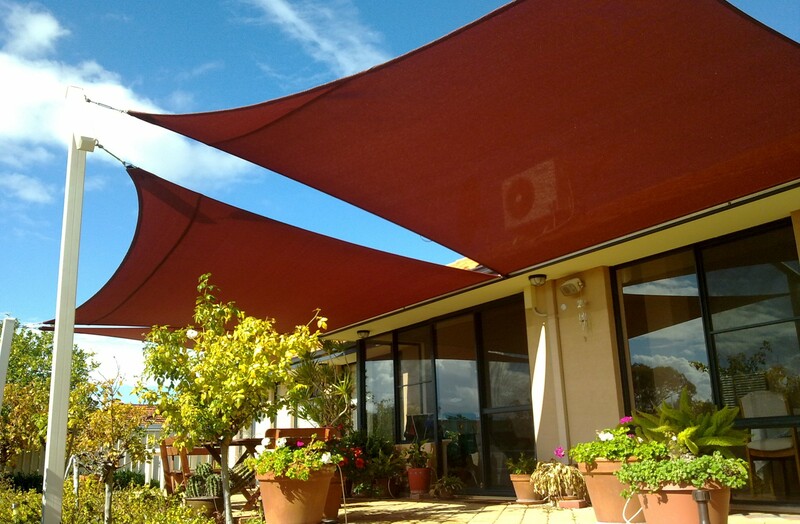 At Shade Experience, we pride ourselves on only using the best quality materials, giving expert advice and consistently professional workmanship for your new shade sail. If you want to protect yourself, your family or your home from the harsh WA sun, call Shade Experience today and get the perfect solution for your solar protection.